A major in chemistry or biochemistry is suitable for students who wish to prepare for careers in the chemical profession or in the related fields of life, health, or earth sciences. Many graduates go on to post-graduate programs in biochemistry, chemistry, chemical physics, pharmacology, medicine, dentistry, or veterinary medicine. Recent chemistry and biochemistry students have also pursued careers in law, business, teaching, and other fields. The Department of Educational Studies offers a teacher education program for majors in chemistry who are interested in pursuing a career in elementary or secondary school teaching. Please refer to Educational Studies . The Haskell Schiff Memorial Prize — given to the member of the first-year class who seems to show the most promise for a career in physical chemistry. The Edwin Foster Kingsbury Prizes — established as an annual award to those students whose performance and promise is judged by the department to be the most outstanding during the year of the award. The Lawrence Chemical Prizes — established in honor of G.O. Lawrence of Buenos Aires by Dr. Joseph Frank McGregory, professor of chemistry 1883–1929, and awarded to two students for excellence in chemistry. The Elmer R. Trumbull Endowment, established in 1985 through the generosity of Elmer R. Trumbull, Professor of Chemistry at Colgate University, supports the Lawrence Prize. The McGregory Fellowship in Chemistry —awarded annually to a member of the graduating class or to an alumnus of not more than two years’ standing, who is considered most worthy. The holder of this fellowship shall continue the study of chemistry for the doctoral degree and may be reappointed annually until receiving the degree; however, he/she shall not, ordinarily, hold the fellowship more than three years. The Roy Burnett Smith Prize in Chemistry — established in 1959 in honor of the late Professor Roy B. Smith, a member of the Department of Chemistry 1899–1940. The award is made annually at the discretion of the department to a student majoring in chemistry. The Thurner Prize — established by Professor Emeritus Joseph J. Thurner to encourage research by chemistry students, and awarded annually for the best honors thesis or equivalent paper based on laboratory or other research, written by a senior major in chemistry and/or biochemistry. The American Chemical Society’s Division of Inorganic Chemistry Undergraduate Award in Inorganic Chemistry — established by the American Chemical Society’s Division of Inorganic Chemistry to recognize achievement by undergraduate students in the field of inorganic chemistry and to encourage further study in the field. The American Chemical Society’s Division of Organic Chemistry Undergraduate Award in Organic Chemistry — established by the American Chemical Society’s Division of Organic Chemistry to recognize a senior student who displays a significant aptitude for organic chemistry and to encourage further interest in the field. The American Chemical Society’s Division of Analytical Chemistry Undergraduate Award in Analytical Chemistry — established by the American Chemical Society’s Division of Analytical Chemistry to encourage student interest in analytical chemistry and to recognize students who display an aptitude for a career in the field. Students may replace the normal, two-semester, introductory chemistry sequence (CHEM 101 and CHEM 102 ) with a one-semester course (CHEM 111 ) if they meet one of the following minimum criteria: a score of 4 on the Advanced Placement (AP) chemistry exam, a score of 6 or 7 on the higher level international baccalaureate (IB) chemistry exam, a score of 650 on the SAT II chemistry exam, or a grade of A or B on the British A-level exam. Students choosing this course are eligible to take CHEM 212 in the spring of their first year, providing an early start into the chemistry major. Exceptionally well-prepared students from other pre-matriculation programs should consult with the department chair regarding advanced standing. Students may also receive course credit for an AP score of 4 or 5 or British A-level grade of A or B. Those who enroll in CHEM 111 receive credit for CHEM 101 . Students who choose not to take any introductory chemistry courses may receive one credit toward graduation for an AP score of 4 or A-level grade of B (CHEM 101 ) or two credits for an AP score of 5 or A-level grade of A (CHEM 101 and CHEM 102 ). The department discourages the latter choice for students who plan to take 200 or higher level chemistry courses. Honors in biochemistry may be awarded on the same basis as honors in chemistry, except that a student must have at least an overall GPA of 3.00 and a combined GPA of at least 3.00 in all chemistry, biology, physics, and mathematics courses taken. Honors in chemistry may be awarded to majors who accumulate an overall GPA of at least 3.00 and a combined GPA of at least 3.00 in all chemistry, mathematics, and physics courses taken; complete approved honors projects; and present the results of their projects in both a written thesis and an oral defense to the department. The decision to award honors, high honors, or neither is based on the quality of the honors project, the quality of its presentation and defense, and other evidence of distinction. Transfer students generally receive credit for satisfactorily completed chemistry courses taken at other colleges that correspond to courses at Colgate. The department considers such transfer credits individually, and students should provide information about the courses (syllabi, catalogue statements, lab notebooks, textbooks, etc.) to the department chair for consideration. These arrangements should be made well before beginning classes at Colgate. Matriculated Colgate students may receive credit for chemistry courses taken at other colleges/universities. Summer courses must meet several criteria established by the department concerning the course content, the length of the course, and the number and length of class and laboratory meetings. 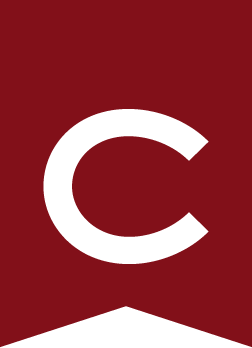 Students considering transferring credit to Colgate for a summer chemistry course should obtain a copy of the department’s criteria for an acceptable course, discuss the course with the department chair, and receive approval before taking the summer course. Final acceptance of the transfer credit is contingent upon satisfactory performance on an equivalency exam; the department administers this exam prior to the drop/add period for the fall term immediately following the summer course. Transfer credit and/or placement appropriate to academic development of a student may be granted to incoming first year students who have achieved a score on an international exam (e.g., International Baccalaureate, Abitur) that indicates a level of competence equivalent to the completion of a specific course in the department. Requests should be directed to the department chair. Any such credit may not be used to fulfill the university areas of inquiry requirement, but may count towards the major. Colgate’s chemistry department has a rich summer research program and there are numerous summer research opportunities at university, government, and private labs around the country. It is recommended that chemistry and biochemistry majors participate in a full-time research experience before they graduate, in addition to the required year of senior research (CHEM 481 /CHEM 482 ). Students receive stipends, and campus housing is available at reduced rates. Students wishing to earn an American Chemical Society certified bachelor’s degree in chemistry are required to take CHEM 212 /CHEM 212L , CHEM 353 , and two 400-level courses. are recommended for students considering graduate study in physical or theoretical chemistry, physical or theoretical biochemistry, or biophysics. For more information, consult with the department chair and see Off-Campus Study .